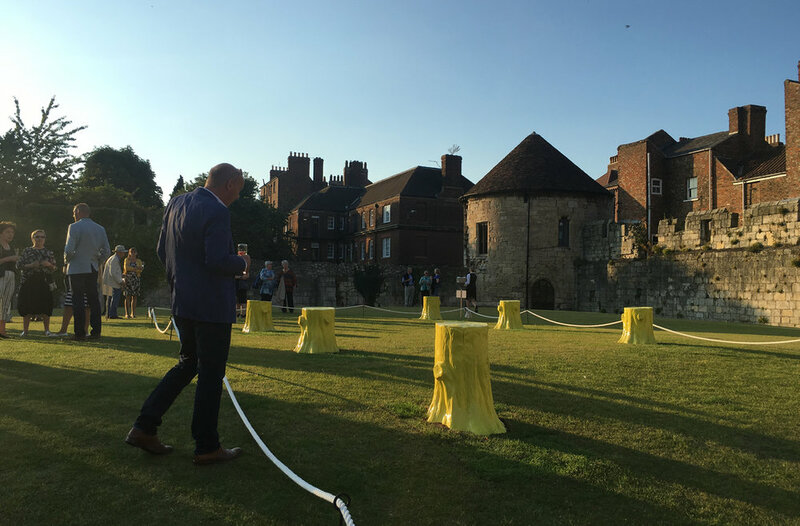 On the glorious evening of the 18th August we attended the opening of the wonderful Artists Garden at York Art Gallery, where the installation we manufactured was to be showcased. 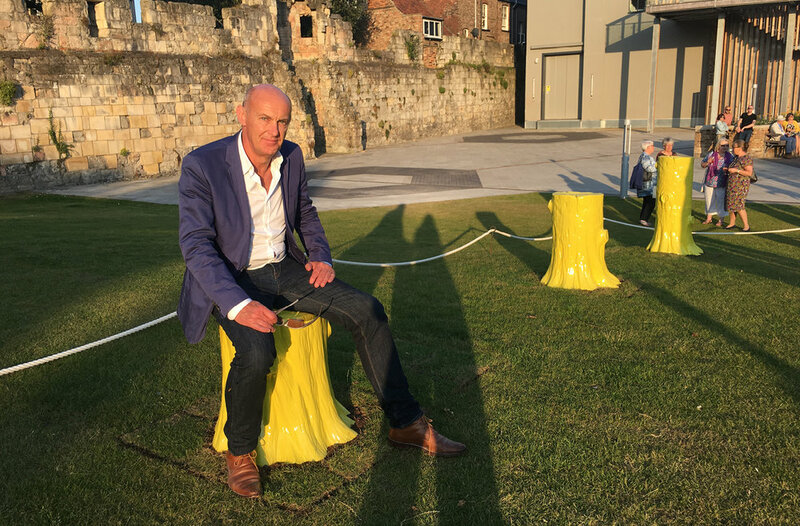 This outdoor installation called Foundation Myths is the first artwork to be created especially for York Art Gallery, and is designed by our talented friends at Ordinary Architecture. 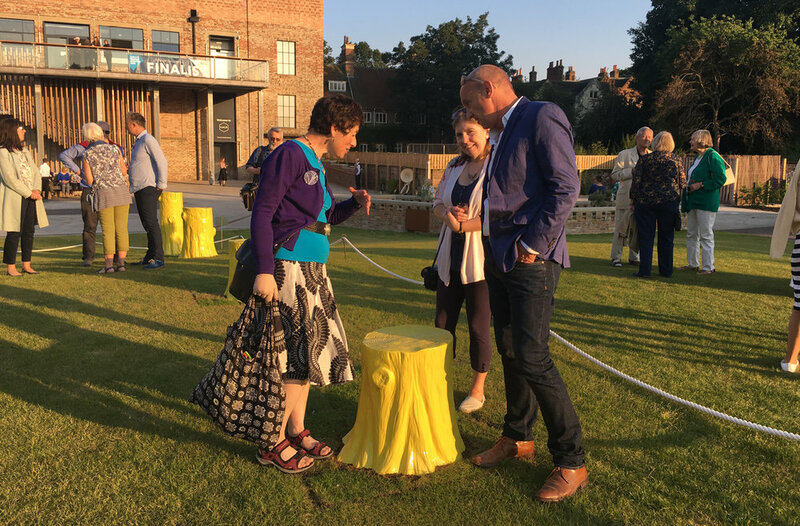 These ten yellow ceramic tree trunks, which vary in size and are arranged in parallel look truly striking in the garden space and make a great addition to the ceramic focused gallery. It was a great evening with live music, canapes, and a superb atmosphere. And it was wonderful to meet with an array guests to talk them through the manufacturing process of the faience stumps. The designer Charles Holland was also in attendance and spoke to all guests about the ideas and inspiration behind the new art installation. This was a brilliant and unique project to be involved in, and it was wonderful to be creating ceramics once again for this inspiring gallery, since manufacturing the glazed tile facade for their major redevelopment. “Foundation Myths cleverly intertwines the many threads of history which run through the gardens as well as drawing inspiration from the ceramics on show in the Centre of Ceramic Art (CoCA). 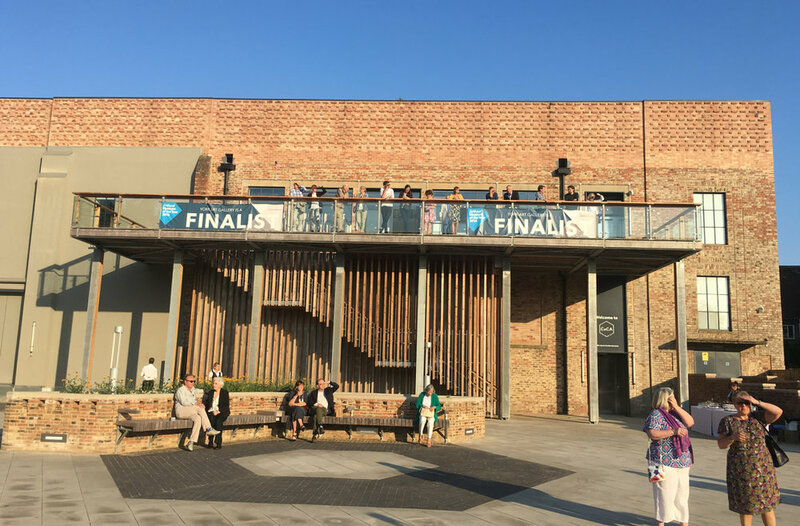 “Part of the St. Mary’s Abbey precinct, the site for the Artists Garden has a very rich history and has been home to a remarkable number of uses. These include orchards, gardens, a plant nursery, military ‘hutments’ and the Great Hall of the Yorkshire Fine Art and Industrial Exhibition.